How Far is JP ECR Paradise? Step through the gateway of JP ECR Paradise, the tranquil garden and witness a master piece of world class Architectural design and innovation. 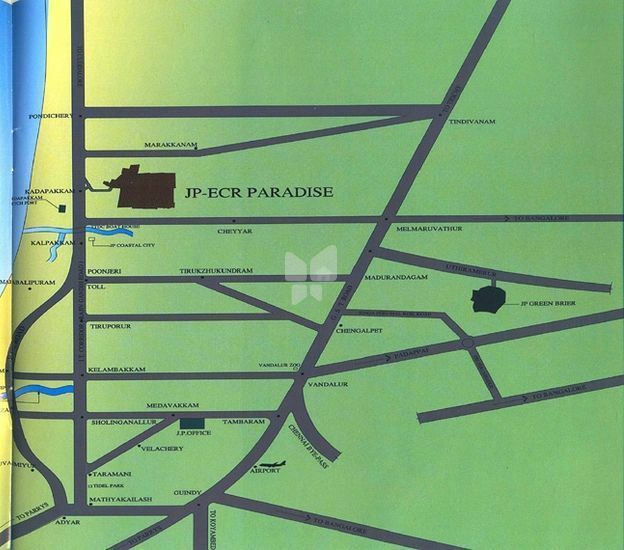 JP ECR paradise is the largest and most premium development in Chennai spread across 500 acres providing new standards of urban living. The company is founded by a Visionary Mr.JP.Jeyapaul who has almost 2 decades of experience in Realty Business. It has a Team of Experts and Highly Qualified Professionals in the field of Real Estate. The company commits to all perspective investors to provide reasonably priced properties with fast appreciation and high resale values. Jai Foundation is involved in wide spectra of services in real estate right from mediating to construction of small houses to construction of multi storied apartments from helping an individual to obtain a small plot to colonization. We specialise in helping you to find the property or business you are looking for, as well as the plot of land to build your house. We find the solutions to your specific technical, practical or administrative problems, provide you with important connections to highly specialised professionals you need in chennai.